Italian restaurants should hire only Italian cooks as they alone ‘understand’ the cuisine, a top TV chef claimed yesterday. 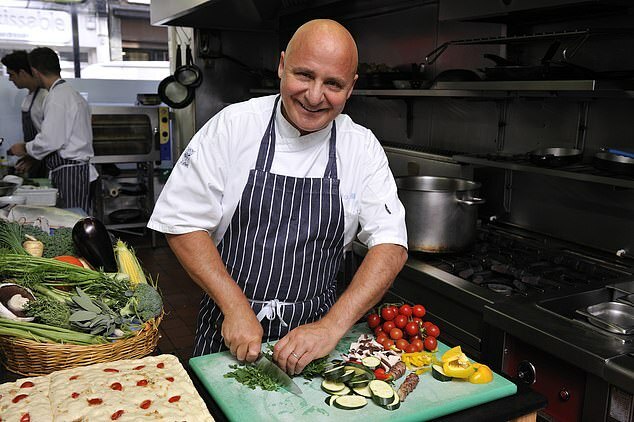 Aldo Zilli, the restaurateur and Good Morning Britain regular, told the programme he hired only Italian chefs in his restaurant chain San Carlo. However, Mr Zilli conceded he would be happy to employ an English chef who had trained in Italy. He also said that, having been in England for 42 years, ‘it would be fine’ for him to cook fish and chips. He is the latest TV cook to become embroiled in a culinary culture war. Last week, Gordon Ramsay faced allegations of cultural appropriation over his new ‘Asian eating house’ Lucky Cat – which didn’t appear to employ any Asian chefs.